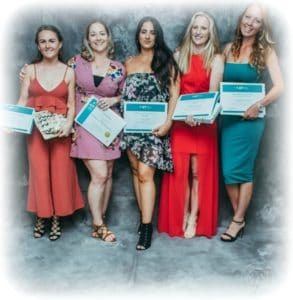 On Thursday, 7th December 2017 we were excited and pleased to acknowledge AVT students who have successfully completed their qualifications in either Veterinary Nursing, Companion Animal Studies and Animal Studies in a formal award ceremony in Perth, Western Australia. It was a balmy December Perth evening for close to 200 VIPs, graduates and their supportive families and friends to celebrate the accomplishments of our students. During the event we were honoured to have our key team members, student speakers and guest speaker, Kristy Kuhnert, WA President of the Vet Nurses Council of Australia (VNCA) share incredible stories of inspiration and thanks. We also recognised students for outstanding achievement in individual award categories and were proud to present the winners with award certificates and gifts from our generous award sponsors shown below. Congratulations to each and every one of our graduates who have all worked hard to complete the theoretical and practical training required to achieve certification. Many of our graduates have already secured employment and we look forward to hearing more about our students employment accomplishments in the upcoming months. We are also very grateful to have the support of many veterinary hospitals and pet care related businesses around Australia who provide work placements for our students. To each and every partner, we truly appreciate the time and effort you invest in training our up and coming graduates. Thank you. Congratulations to the following individuals for outstanding achievement in their individual award categories.